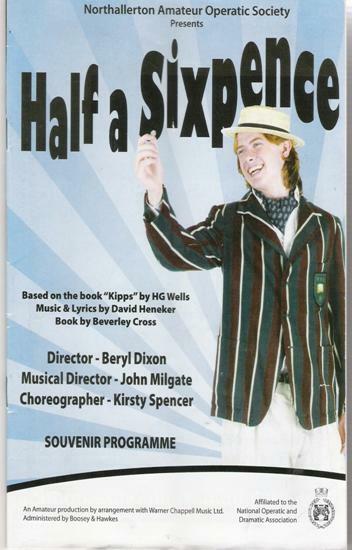 Half a Sixpence is based on the book “Kipps” by H G Wells. Arthur Kipps is a poor orphan employed in Mr Shalford’s Drapery Emporium. It is hard work, and strict discipline and Kipps and his fellow apprentices resent their life. Kipps suggests to his girlfriend Ann that they ought to exchange love tokens and he gives Ann half a sixpence, keeping the other half himself so that when they are separated they can look at their half sixpences and think of each other. Eventually Kipps inherits £1,200 a year and falls in love with someone else. He buys an enormous house and tries to mix with the “right people”. Eventually Kipps realises that it is Ann he truly loves and persuades her to marry him.